R.I.P. Fr. Benedict Ashley, OP. I knew Fr. Benny in St Louis during my studium years. The Church and the Order have lost a great mind. Not even the gates of hell. . .
Like most every other Catholic in the world, I was at once surprised and distressed by Pope Benedict's renunciation of the Petrine office. Why is he resigning? Is he ill? Who will take up this ministry after him? 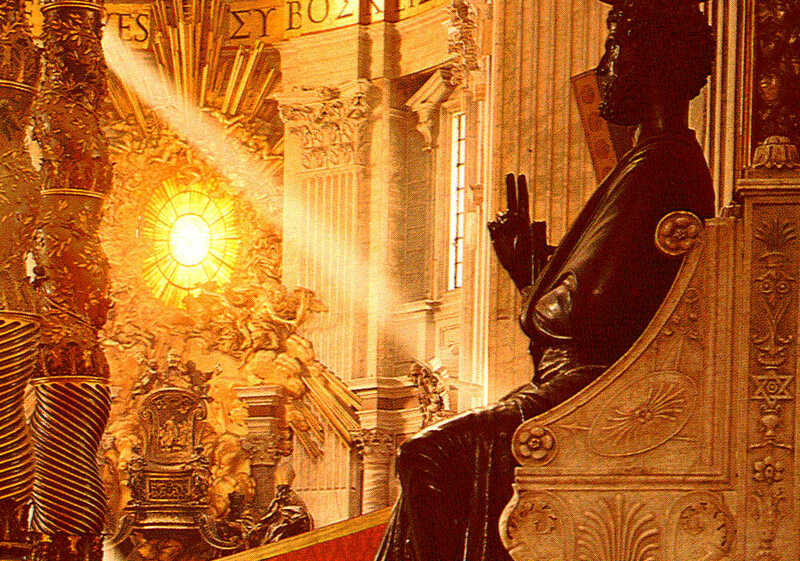 What does it say about the Chair of Peter that a pope would renounce his ministry? I also began to fret about how this news would be spun in our anti-Catholic media. Every lie, every rumor, every scandal would be trotted out and commented upon with the same fulminating bile and willful ignorance that the Church has been subjected to in the last 40 yrs. by our media betters. And just as all this anxiety and catastrophizing was slowly boiling into some serious fear, I remembered something, something perfectly simple and instantly calming: this is Christ's Church. We belong to Christ. Benedict and the next pope—whoever he will be—serve the Church. And the Church serves the mission of Christ. “And the gates of the netherworld shall not prevail against it.” If the denizens of hell cannot defeat the Church, then the potentially precedent-setting resignation of Benedict XVI; nor a less-than-ideal papal successor; nor a bigoted, ignorant media is going to cause much of a dent in the faith of God's people and our determination to preach the Good News of Jesus Christ. Our Lord asks his disciples, “Who do you say that I am?” And Simon Peter answered for the group, “You are the Christ, the Son of the living God.” At that moment, the Rock of Christ's Church was set into the bones of the world, and we have been building the house of God ever since. No matter which of the Church's bishops walks out onto that balcony overlooking St. Peter's Square in a month's time; no matter what name he chooses, or where he was born, or how smart or good-looking or athletic or pastoral or fat or old he is, he will be Peter the Rock. That is the guarantee of steadfastness in faith that Christ has given to us. And no matter who sits in Peter's Chair, our baptismal mission doesn't change. We are vowed by the death and resurrection of Christ through the holy water of baptism to preach and teach and live the Good News of God's mercy to sinners. Let nothing and no one shake your foundation in the Church. Let nothing and no one rattle your determination to love as Christ commanded; to grow in holiness through grace; and to use your gifts for the good of the least among us. Upon this rock Christ has built his Church and not even the gates of Hell can touch her. "Domini canes" beg for help! 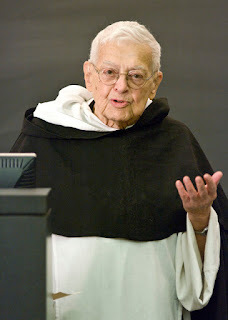 How much does it cost to create a Dominican friar? From novice to solemnly professed Dominican friar it costs approx. $250,000. . . The American bishops require that all men proposed for priestly ordination hold the M.Div. degree. That's a professional ministerial degree that requires academic work in theology, philosophy, scripture, Church history, pastoral theology, several supervised ministry practica, etc. Getting the M.Div. means four to five years of private Catholic grad school. While a student, friars are not allowed to earn a salary, so all of their expenses fall to their respective provinces: food, clothing, shelter, insurance, travel, tuition, books, etc. Everything. It's like having all your grown children back at home! So. . .we need help! 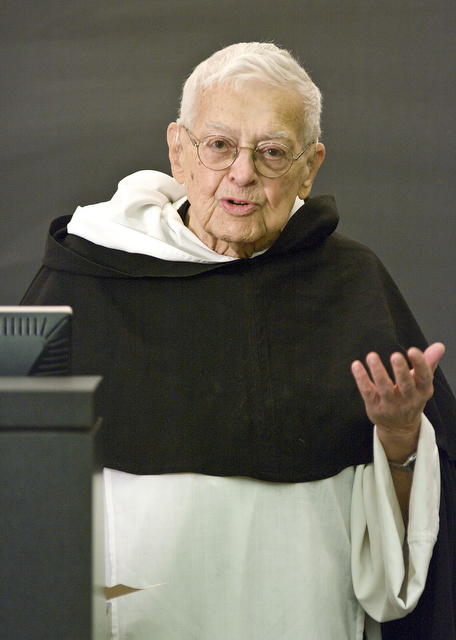 Dominicans are mendicant friars, meaning we beg for our living. Yes, we work too, but the largest portion of our annual budget comes from generous benefactors who want to be part of our preaching charism. For the Province of St Martin de Porres that means preaching the Gospel in the Protestant South. Every year we beg for help through the 1216 Campaign. And what better time to consider donating to the Hounds of the Lord (Domini canes) than Lent? We pray everyday--twice a day--for our benefactors! *Co-operator brothers generally follow the same academic track as clerical brothers sans those courses required for ordination. Jesus is offering us a pretty good deal! Ask and receive. Knock and the door opens. Seek and we will find. What could be easier? You know there's got to be a catch, right? Of course. And we'll to that soon enough. But first we need to understand the context of this most excellent deal. The early Church Fathers write about this passage from Matthew as if it refers to seeking after the truth of scripture. For example, want to know what wisdom the Book of Esther imparts? Ask for enlightenment and receive it. Knock on the door of the Word and it opens. Seek wisdom and you will find it. For the Fathers, studying scripture is a necessary step in uncovering its wisdom but study alone is not enough. Asking, receiving, knocking, seeking, and finding are all forms of prayer that require us to submit our pride to some healthy humiliation so that God's wisdom can get a foothold in us. What does this sort of prayer look like? Well, speaking of Queen Esther, she prays, “Help me, who am alone and have no help but you, O Lord, my God.” Esther shows us the way to wisdom through prayerful humility. 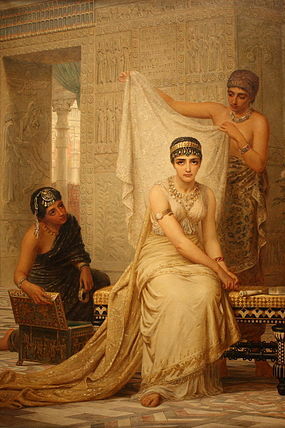 Queen Esther is “seized with mortal anguish” b/c she's discovered that her husband, King Xerxes I of Persia, has authorized the slaughter of all her fellow Jews under his rule. Her uncle, Mordecai, asked Esther to intervene with her husband on behalf of the Jews but doing so would mean her death. To prepare herself and her people, Esther asked that all the Jews in the empire fast with her for three days. After this empire-wide, three-day fast, she summons the courage to approach her husband. She prays earnestly to God—this evening's OT reading—the night before she visits the king, “. . .come to help me, an orphan. Put in my mouth persuasive words in the presence of the lion [the king] and turn his heart to hatred for our enemy. . .” Here's what we need to notice about Esther's prayer. First, though she is seeking courage for herself, she is seeking that courage in order to save her people from destruction. Second, her prayer (the longer version) recalls the history of God's relationship with His chosen people and calls on Him to honor His covenant with them. Third, she freely confesses her powerlessness, her need for divine help. And lastly, she accepts fulls responsibility for the outcome of her meeting with the king; in other words, she's expecting no miracles from God, just all the help she needs and no more. Now, back to Jesus. Ask and receive. Knock and the door opens. Seek and you will find. This is exactly what Esther does. And God answers her with abundant wisdom and her people are saved. Earlier, I mentioned a catch. Here's the catch. Jesus notes that even the wicked do not give their children a stone when they ask for bread, or a snake if they ask for a fish. 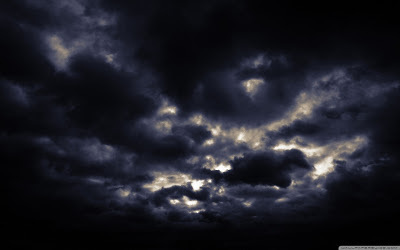 He continues, “. . .how much more will your heavenly Father give good things to those who ask him.” There's the catch. For humility in prayer to work as it ought, we must ask for good things. Not just anything we happen to crave, not just anything that we think we might one day want or need, but only those things that we know to be good. Esther asks for the courage she needs to save her people from death. She asks as an orphan child living in a foreign land married to a ruthless king. She freely admits her helplessness and accepts that nothing good will happen unless she takes up the task to see it done. She submits her pride to some healthy, public humiliation and receives all the divine wisdom she needs. Ask, knock, seek in humility and you will find behind every door closed to you the all the wisdom and courage you will ever need. NB. After the fifth phone interruption, I just gave up on today's homily and edited an older one. I'm getting even crankier in my dotage. I was lost in Nice, France. I had decided to take a bus from Villefranche to Nice. When it was time to head back to the cruise ship (where I served as chaplain), I took a bus to the station and waited for the transfer back to Villefranche. And I waited and I waited. Three or four buses stopped but none was mine. 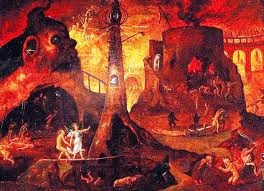 I asked a woman at the station how to get back to Villefranche. I should say, I mimed and shouted and grunted and wildly gestured b/c at the time I didn't speak or read French. The poor woman energetically responded to my desperation with what I can only assume was beautiful French. Let’s just say, her gestures were impressive! She repeatedly pointed to the signs on the bus stop and the signs on the street corners and the signs on the many construction barriers along the road. No good. I wandered the Garibaldi area of Nice for an hour or so—illiterate and lost. Finally, I found my bus and made it back to the ship in time. The moral of the story? All the signs in the world will do you no good if you can’t read them. 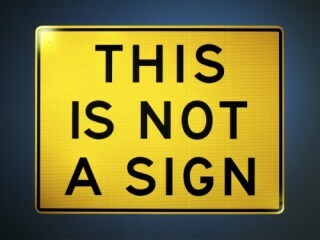 Jesus says that no signs will be given to this unfaithful generation. Why is he being so mean about a request for a sign of his identity and power? Why is he being so stubborn all of a sudden? There are at least two ways of interpreting Jesus’ signs. First, they can be seen as magical events, mysterious tricks that tickle the imagination and satisfy some sort of basic human need for the mystical. Second, the signs can be seen as helps, as divine assistance for and confirmation of our initial trust in Jesus’ word that he is who he says he is. Signs as magical tricks have to be repeated, done again and again, and rarely if ever do they establish anything resembling faith in the human heart. Signs as help for our trust in Jesus’ word require faith first. They cannot confirm in us what does not yet exist in us. Looking out over the crowd, Jesus knows that those clamoring for a sign are really clamoring for a circus trick. They will not believe even if he stops the sun and calls angels by the thousands. The only sign he will give them is his death, his three day stay in the grave, and his resurrection. The sign of Jonah. They will either read this sign as a trick, or it will confirm their faith. If they fail to believe that Jesus is the Messiah, they will be condemned by the queen of the south and the Ninevites at the judgment. She came looking for the wisdom of Solomon not knowing that the Messiah had come. How could she? No one believed, so no one witnessed. The Ninevites repented at the sign of Jonah. They believed and were confirmed in their faith. They will judge this evil generation for its stubbornness and willful ignorance. Christ risen from the tomb three days later is a greater sign than Jonah’s three day stay in the belly of the fish. Do you clamor after signs? Look for indications that your faith in Christ is justified? Are we running after apparitions or miraculous events or private revelations or internet prophecies to confirm what we already know to be true? Will we be like the Ninevites who hear the Word preached and repent? Or will we be like those of the evil generation and chase after signs to have confirmed what we do not believe in the first place? We are set free in Christ. Do not submit again to the yoke of slavery. The greatest sign of Christ’s fidelity to us—greater than Jonah and Solomon—is the Christian living a holy life of sacrificial witness and service. This is a sign easily read and universally understood. No magic. No tricks. No stage. No drama. Just charity in action—the surest sign that Christ is among his people. To the sheep on his right our Lord will say on the Last Day, “Come, you who are blessed of by my Father. Inherit the kingdom prepared for you…” To the goats on his left our Lord will say on the Last Day, “Depart from me, you accursed, into the eternal fire prepared for the Devil and his angels.” As we might expect, the accursed goats object to this judgment and Jesus lays out the reasons for his judgment against them. What’s interesting (and unexpected) is that the blessed sheep are surprised by their judgment. After welcoming the sheep into the kingdom, our Lord explains his judgment saying, “…I was hungry and you gave me food, I was thirsty and you gave me drink…” When the goats object to their sentence our Lord justifies his judgment by pointing out the chief failures of the goats, “…I was hungry and you gave me no food, I was thirsty and you gave me no drink…” What these two groups have in common is their surprise at having served or not served the Lord unawares. Both groups ask, “Lord, when did we see you a stranger and welcome you (or, not welcome you), or naked or thirsty and give you drink (or, not give you drink)?” Jesus’ resounding answer is almost harsh in its clarity: “Amen, I say to you, whatever you did (or did not do) for one of these least brothers of mine, you did (or did not do) for me.” Always the good Jew, Jesus is showing his disciples how the Law is worked out with the Messiah in their midst. Not a few Christians dislike this part of Matthew. I’ve found it to be a particularly sore subject for more tradition-minded Catholics who see the emphasis on “social justice/good works” as a possible danger to sound doctrine and proper devotion. They are not wrong to worry about this. I’ve heard many an eager Catholic say, “Oh, all we need to do is feed the hungry and clothe the naked. Leave all that rigid dogma stuff and sentimental devotional nonsense alone. Just help the poor!” Unfortunately, both groups miss the point entirely. This apocalyptic scene of sheep blessing and goat roasting from Matthew is most certainly about the Last Judgment and what counts as a ticket to blessing or roasting. However, this scene is also—and I would bet mostly about—Jesus being a good Jewish teacher and showing his disciples what it means to not only follow the letter of the Law of the Decalogue but to fulfill its spirit for Christ’s sake. For—Christ’s—sake. That phrase is the difference that makes the difference btw an eternal life of bliss or an eternal life of blisters. When faced, at last, with our Lord on his judgment seat attended, let him see your joyful heart, your enlightened eyes. . .and your callused hands and sore back, your body bent from doing NOT the just thing or the pious thing, but all the merciful things that make us just and pious sheep.